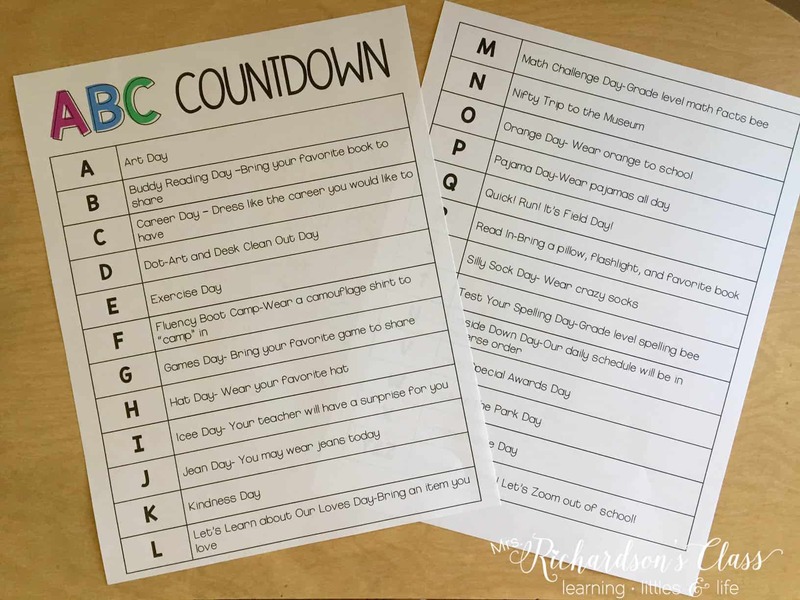 The end of the school year can be such a whirl! It always seems like from spring break on, I am running the 400m sprint and it’s definitely not a relay. Ha! Each day we focused on something different, but we didn’t make that the focus for the WHOLE day. Sure, there were a few days that were silly, but the academic ones were not an all day thing by any means. This was also a great incentive for the students to work toward at the end of the day and look forward to! As we all know, behavior can be tricky during the last few weeks. Need some ideas? 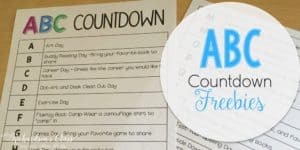 Grab our ABC Countdown list FREE! We also took some time either at the end of each day or first thing the next morning to write about that day’s activity. 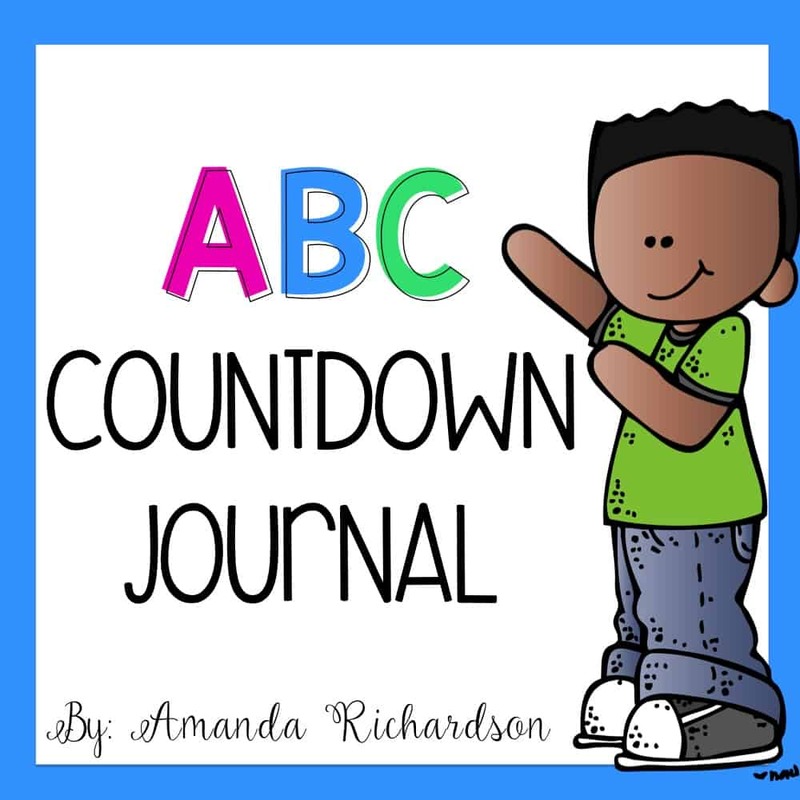 Snag this FREE ABC Countdown Writing Journal HERE. Looking for more End of the Year fun? Be sure to follow my End of Year Pinterest board! 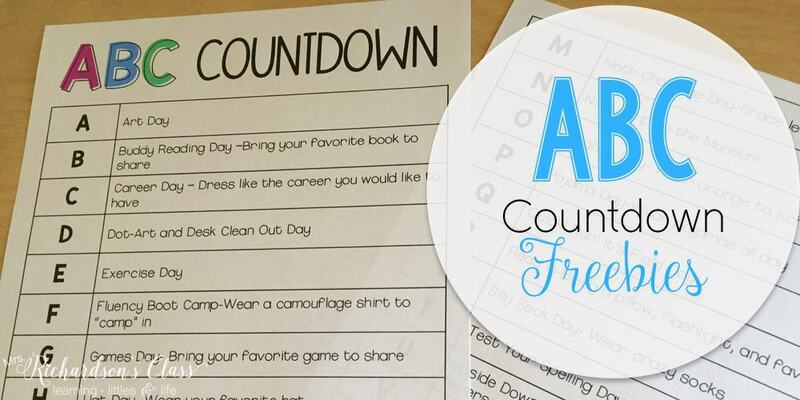 Follow Amanda | Mrs. Richardson’s Class’s board End of Year Fun on Pinterest.